Gold Hill Mesa is located on the west side of Colorado Springs just south of Hwy 24 and West of I-25. Gold Hill Mesa is close to Downtown Colorado, Old Colorado City, Bear Creek Park, a dog park, and Garden of the Gods. This area started new construction in 2005 when John Laing was the primary builder in the area. After John Laing filed for bankruptcy in February 2009, new home builders entered the area and are maintaining similar home designs (mid-1900s) to match the existing homes in the neighborhood. Challenger Homes and Creekstone Homes are currently building in the area. Base pricing for Challenger Homes starts at $200,000 and the ranch and 2-story floor plans in the area do not have a basement. Creekstone is currently building a couple of homes in the community and has yet to release pricing information. The homes in Gold Hill Mesa have front porches and 2-car garages off alleyways in the rear of the home. The smaller lots are perfect for homeowners who prefer a maintenance free yard. There are monthly HOA dues which cover the water (metro district), trash removal, snow removal, and maintenance of the front yard. Townhome owners are currently paying $146/month in HOA dues and Single Family residen ces are paying $123/month. The monthly HOA dues are separate from the Master HOA dues in the community. Although, currently at $4/month, the Master HOA dues will increase after the fitness center is completed in January 2010. 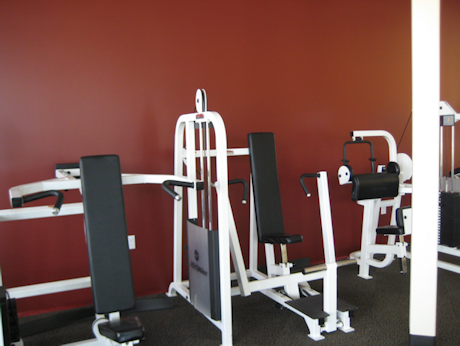 The fitness center will have a pilates studio, an aerobics room, and workout equipment. The soil in the community has raised concern for some since it was formerly home to The Golden Cycle Mill (not a mine) where ore was processed. The developers participated in an extensive Voluntary Clean-Up agreement with the State of Colorado to ensure each residential building site was safe. The developer excavated 48″ below the surface, added a 24″ mix of native topsoil (60%) and gold ore tailings (40%), and then brought in and added another 24″ of native top soil only. All residences have fiber-optic connectivity, access to a community center that may be reserved for gatherings, and a common mailstop that is located indoors. 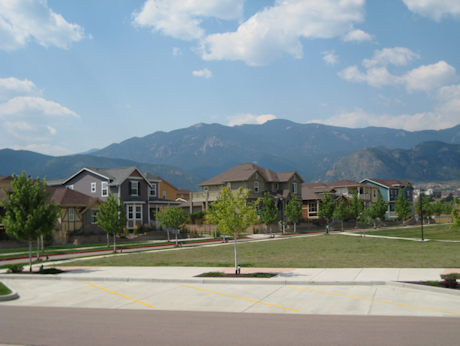 The Gold Hill Mesa community offers spectacular views of Pikes Peak and Garden of the Gods. 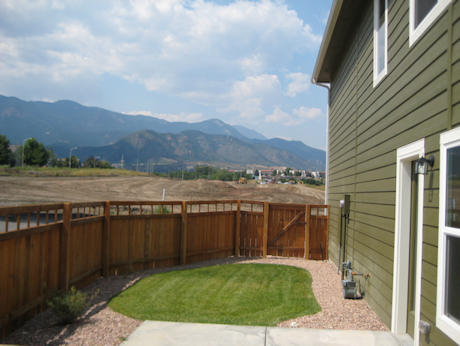 Do new home builders in Colorado Springs accept contingency offers?